Know the Facts, Be Empowered ! 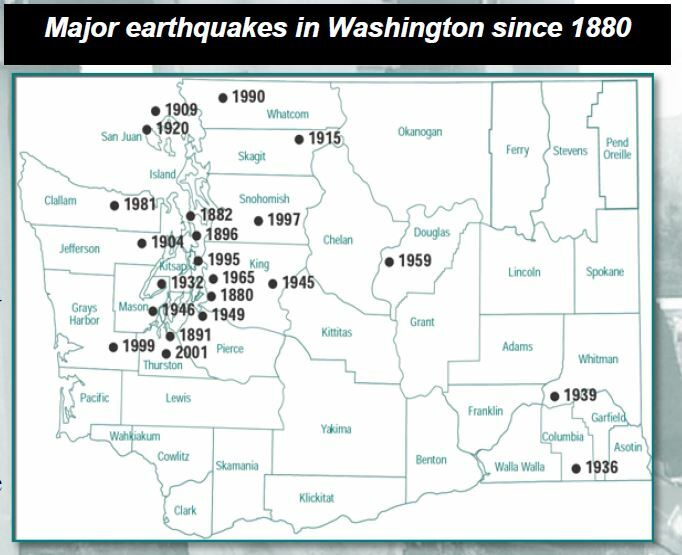 ​Washington has the second highest risk in the U.S. of a large and damaging earthquake because of its geologic setting. 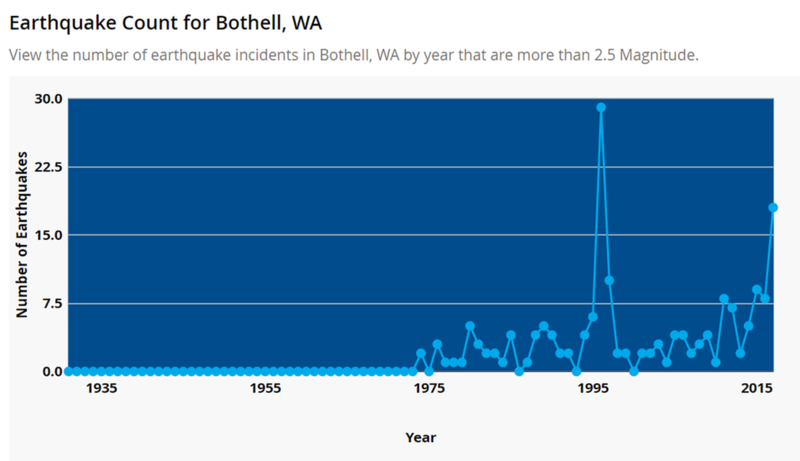 The Pacific Northwest is Earthquake Country. The Cascadia Subduction Zone (CSZ) is a 600-mile fault that runs from northern California up to British Columbia and is about 70-100 miles off the Pacific coast shoreline. In fact, "the Cascadia" has already made history, causing the largest earthquake in the continental United States on January 26, 1700. That's when the Cascadia unleashed one of the world's biggest quakes,thought to be about a 9.2 on the Richter scale, causing a tsunami so big that it rampaged across the Pacific and damaged coastal villages in Japan. Scientists say a quake of that size is due roughly every 300 to 500 years. 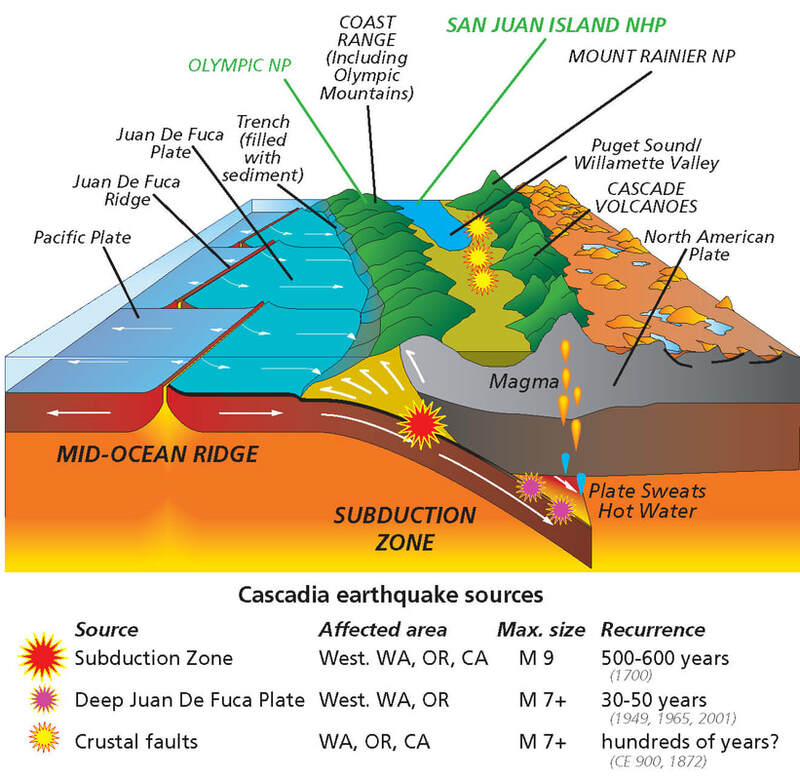 ​The Cascadia Subduction Zone is an overlapping joint between tectonic plates, part of the Earth’s crust that floats on layers of molten rock. 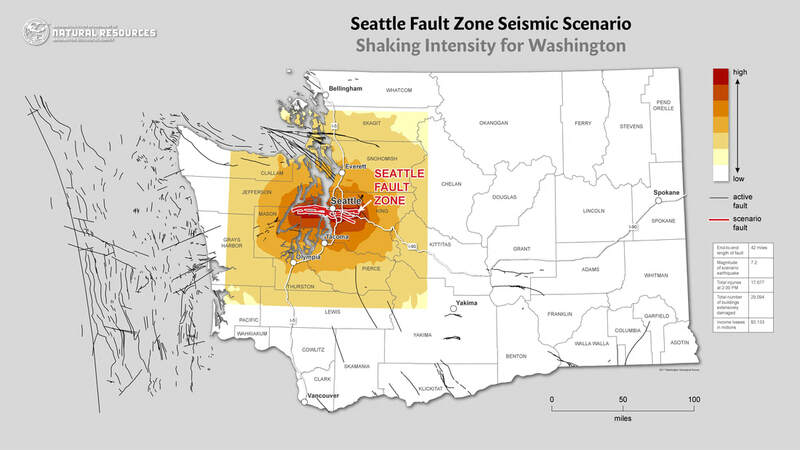 The Seattle Fault is a zone of multiple shallow east-west thrust faults that cross the Puget Sound Lowland and through Seattle (in the U.S. state of Washington) in the vicinity of Interstate Highway 90. ​It’s considered capable of a magnitude 7. 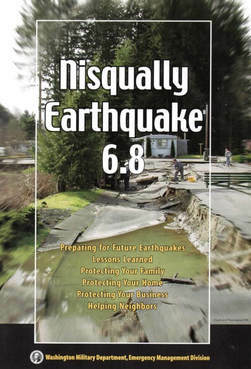 That may not sound like much more than the magnitude 6.8 quake of 2001 based on the numbers, but that the Nisqually quake occurred some 30 miles underground. Then consider that the Seattle Fault is a complex of faults with various branches that run at or just below the surface. 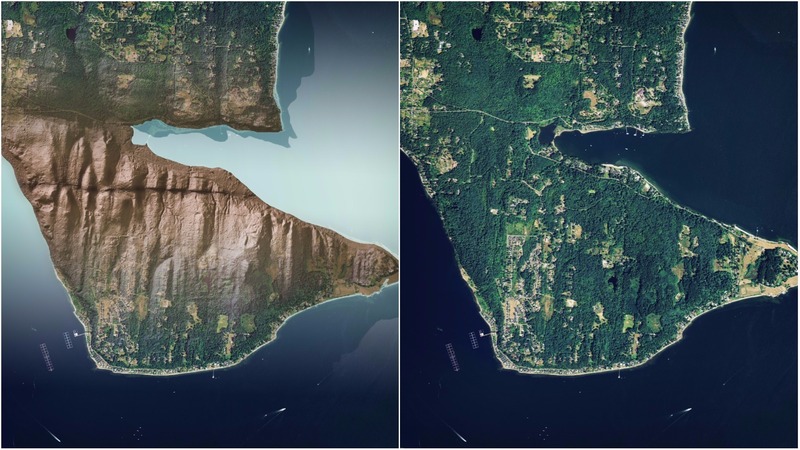 Across the northern portion of Bainbridge Island, light radar or lidar images taken from airplanes clearly show (below) what geologists say is the Seattle Fault running right on the surface. Another piece can be seen under the elevated lanes of northbound Interstate 5 in South Seattle not far from the Rainier brewery. On November 4th, 2016, Gov. Jay Inslee issued Directive 16-19, establishing a Resilient Washington Subcabinet. 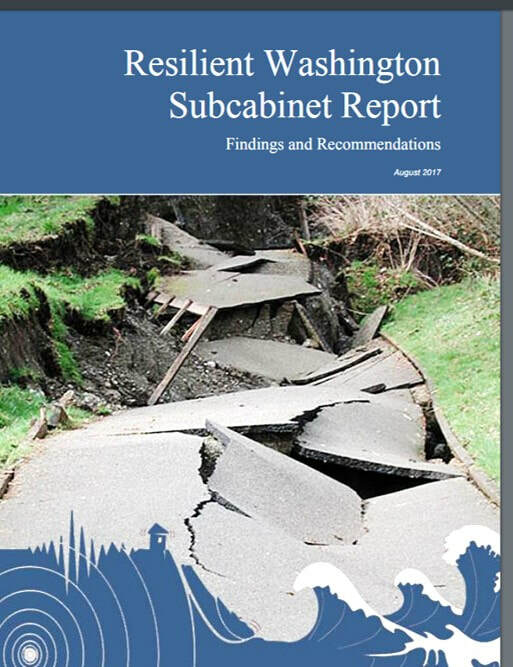 Through this subcabinet, the Washington Military Department’s Emergency Management Division was directed to assess our strategy in creating a resilient Washington State with regard to the hazards posed by earthquakes and tsunamis. 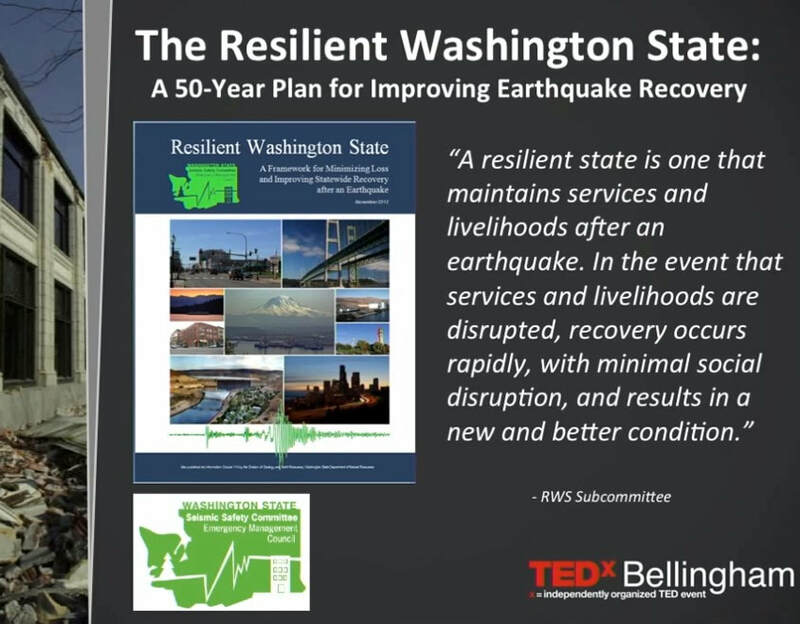 In addition, a general goal of the Directive was to increase individual, family and business preparedness.The Resilient Washington Subcabinet was convened in January of 2017 to help our state better prepare for natural disasters, including earthquakes, tsunamis, wildfires, drought, storms and flooding. Separate agencies were also given specific directions by the governor. More information can be found in the governor’s Nov. 4, 2016 letter. 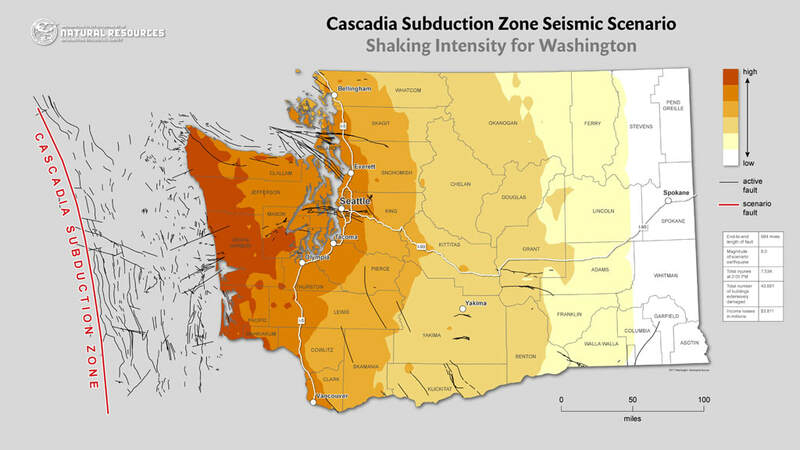 The Cascadia is capable of delivering a 9.0-magnitude quake. The quake of 9.0 is expected to last between 2 to 5 minutes and then a Tsunami of up to 50 feet in height that will impact the coastal area. Aftershocks of magnitude 7.0 or greater. Currently, scientists are predicting that there is about a 40 percent chance that a megathrust earthquake of 9.0+ magnitude in this fault zone will occur in the next 50 years. This event will be felt throughout the Pacific Northwest. ​The Nisqually earthquake on February 28, 2001, was a 30 mile deep, magnitude 6.8, earthquake, lasted 40 seconds, 10 miles northeast of Olympia. One person died of a heart attack, hundreds were injured, and various estimates place damage at between $500 million and $4 billion. Exact figures are not available, as insurance claims information is not available. 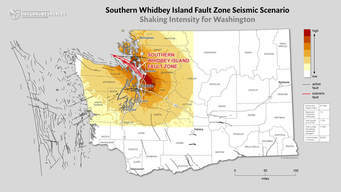 The South Whidbey Island Fault is also dangerous. 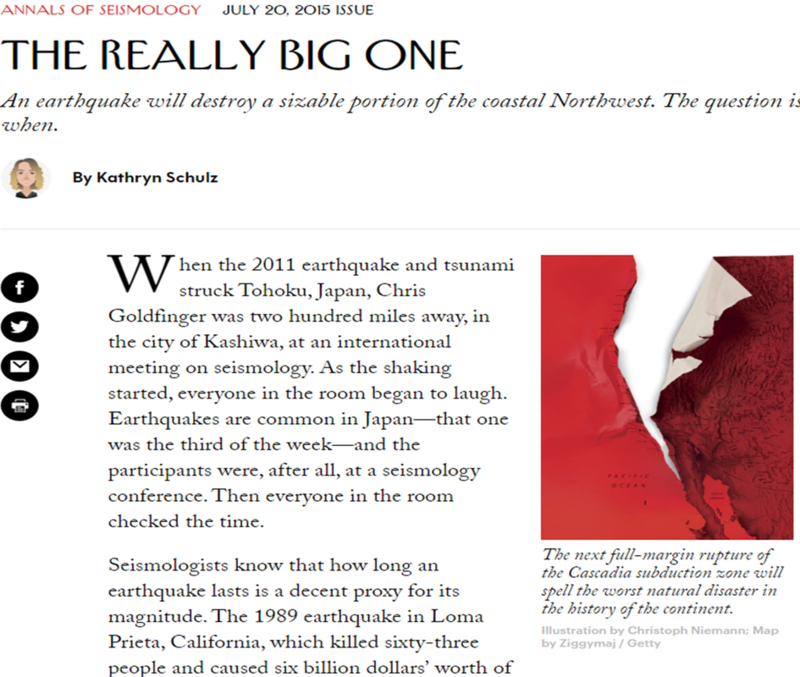 It’s significantly larger than the Seattle Fault, and South Whidbey could hand us a magnitude 7.5 earthquake. A 7.5-magnitude earthquake is capable of causing major destruction over a large area. It could also set off quakes on connected faults. Many of the other earthquake faults in the region could be connected to the South Whidbey in a system similar to the San Andreas fault in California. Because the South Whidbey fault is shallow, running beneath Mukilteo and southeast to Woodinville, south Snohomish County could be at increased risk, Snohomish County emergency services director John Pennington said. “The reality is when this earthquake hits, there will be some heavy losses,” he said. 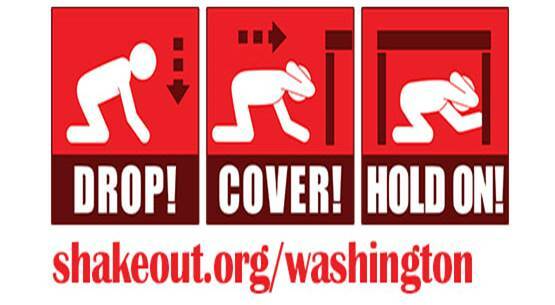 Snohomish County is better prepared now for such a quake than it was several years ago, Pennington said. Many thanks to Shannon Jephson-Hernandez, Grade 7 teacher, for her work with students regarding Volcanoes, Earthquakes, Tsunamis and Emergency Preparedness. Making a difference one student at a time! 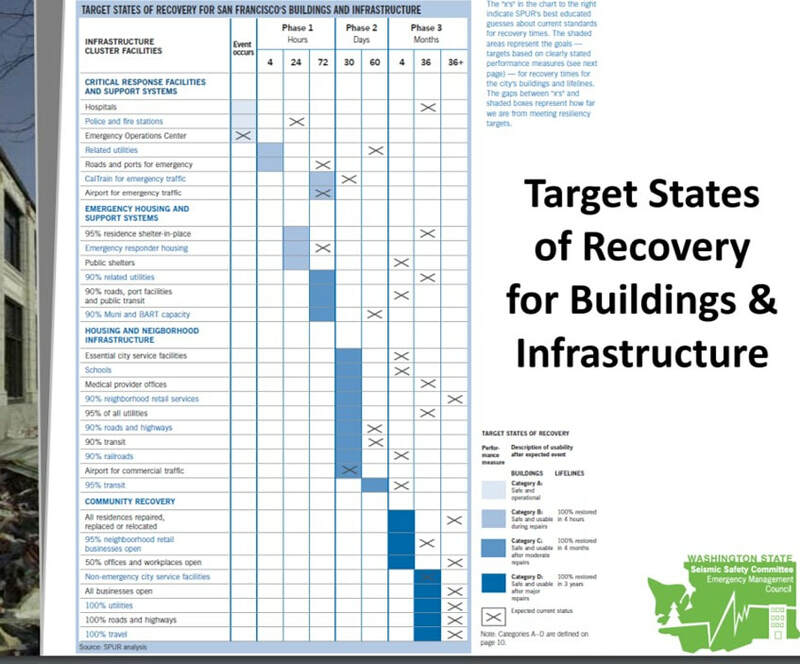 Only 232 schools have been built since 2004, when building codes for earthquakes were upgraded. 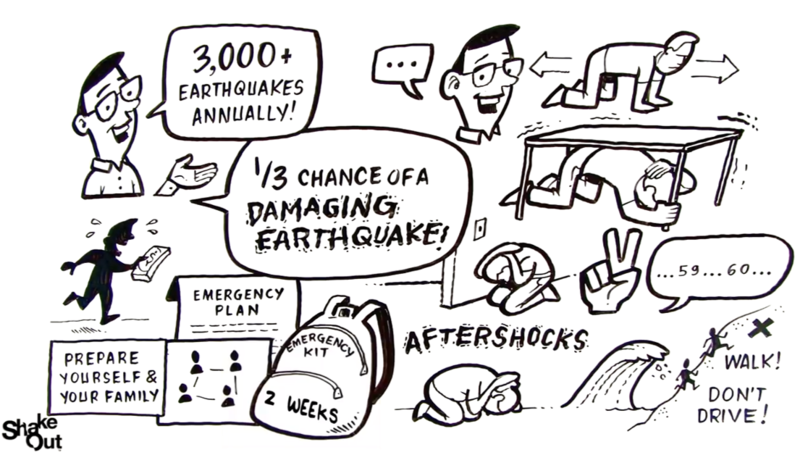 An estimated 72 percent of schools are rated at 'high' or 'very high' risk from earthquakes. Governor Jay Inslee sat down with his Resilience Cabinet on Wednesday to address the issue. 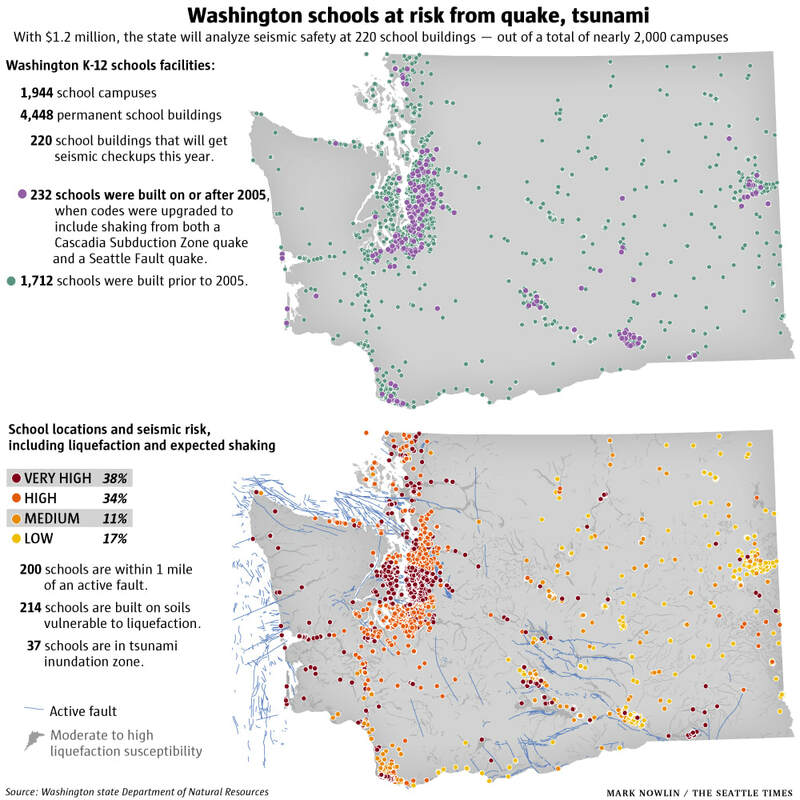 Geologists say schools are vulnerable because of their proximity to the state's network of earthquake faults. There's the massive Cascadia Subduction Zone, which runs for hundreds of miles off the coasts of Washington, Oregon, Northern California and British Columbia. That zone could unleash a tsunami on the scale of the one that hit northeastern Japan in 2011. 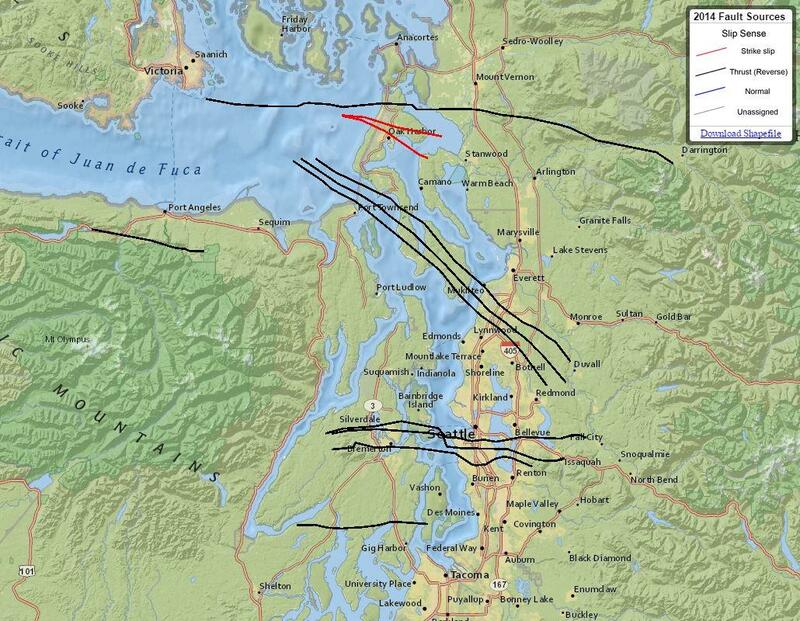 Then there is the Seattle Fault, which runs across Bainbridge island, past the southern edge of downtown Seattle to the Cascades. 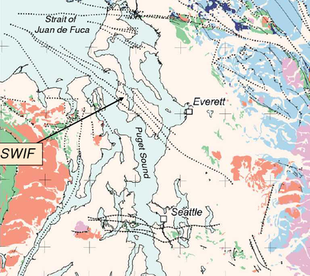 And other schools are near the South Whidbey Island Fault, along with newer fault discoveries in the eastern half of the state. 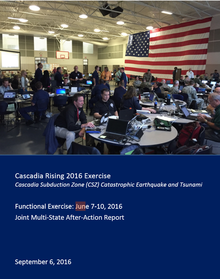 ​The complexity and duration of the Cascadia Rising 2016 Exercise provided an unprecedented opportunity to identify disaster operational best practices and lessons learned. Although the exercise evaluation was structured around six core capabilities, the findings presented transcended any single core capability. These strategic findings are highlighted here due to the breadth and severity of their impact on key response operations. 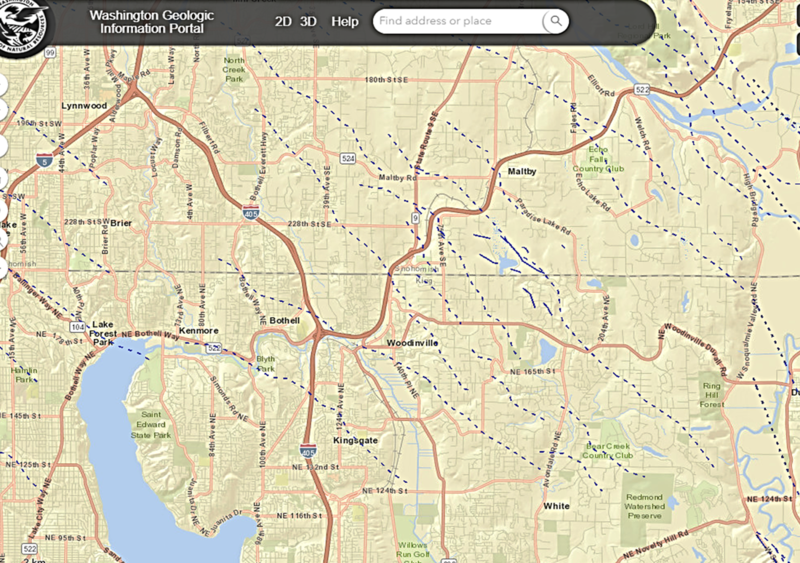 The Washington geologic information portal lets you look at specific locations and the types of possible risks e.g. earthquake faults, tsunami, land slide, volcano etc..